"Quotations from Chairman Bill" (1970). Buckley also wrote best selling stories of international intrigue whose titles include "Saving the Queen" (1976), "Stained Glass" (1978), "Who's on First" (1980), "Marco Polo, If You Can" (1981), and "See You Later, Alligator" (1985). He died on February 27, 2008. 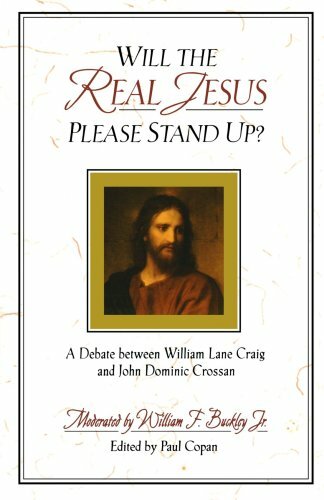 Considered by many to be the most learned scholar on the topic of Jesus Christ, John Dominic Crossan's adversaries question how he reconciles his Catholic faith with 20th century secular study. A former priest, Crossan is the author of The Essential Jesus: Original Sayings and Earliest Images, The Historical Jesus: The Life of a Mediterranean Jewish Peasant, Jesus: A Revolutionary Biography; The Birth of Christianity: Discovering What Happened in the Years Immediately After the Execution of Jesus, and The Cross That Spoke: The Origins of the Passion Narrative, among others.